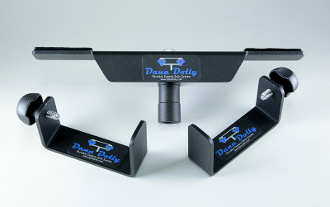 Dana Dolly Tip Bracket Kit. Kit contains: Two Anti-Tip Brackets that attach to the Dana Dolly, and a Center Support that allows the support of long track runs with clearance with the brackets on. Made in USA.